Sensory processing disorder is a real disorder. Research shows differences in the brains of children with sensory processing disorder versus the brains of children with typical processing of sensory information. Let’s end the misunderstandings and the stigma. Read the manifesto and watch the video, use the hashtag #SensoryIsReal, and join the movement! I’m excited to announce that Sensory Smart Parent has relaunched at www.SensorySmartParent.com Come visit the new site and check out the new blog. Want to get new blog pieces, announcements, tips, and other sensory smart news in your in box? Head on over to www.SensorySmartParent.com and sign up today! Joy! http://www.SensorySmartParent.com has been relaunched. If you want to receive sensory smart news that includes articles, blog pieces, announcements, practical tips, and more, head over to the new site and sign up! Even just a 5-minute walk outside or a short visit to a lake can lower the level of your stress hormones. Be sure to get outside with your sensory child! Being in nature can be a HUGE part of a sensory diet. “Do you even get paid for the work you’re doing?” the PhD asked me. My gut dropped. I had, after all, just lost two freelance jobs worth five months’ income in the last week and had been “singing a happy tune” to try to prevent panic for days. The PhD had no answer for that. I suppose information and insight about something that doesn’t exist except in the minds of neurotic U.S. parents doesn’t have much value!!!!!! It’s funny—so often, parents of neurotypical kids try to one up each other, comparing whose child meet their developmental goalposts first, whose child is more extroverted (so highly valued in our culture), or who said something so intelligent that surely he’s a shoo in for an Ivy League school. Maybe that’s why someone who doesn’t know us parents of kids with hidden disabilities thinks we’re all obsessing over college. In ten years of being in online support groups for parents of kids with sensory processing disorder, I’ve never experienced a parent trying to one up another. Ever. Nor have I ever experienced it with parents in my community who have kids with hidden disabilities. Now, we do congratulate each other when someone’s child consents to a dental procedure with Novocain for the first time, or ties his shoes by himself at age nine, or goes an entire day without wetting the Pull-Up even though he’s eight—because we know how much effort went into achieving that milestone. And maybe we can’t find the time to play the “one up” game because we’re too busy trying to get that homework assignment to travel from the homework folder to the teacher’s desk without showing up at school to make that happen, ensuring that our child will get credit, a grade that isn’t a demoralizing F, and feedback we can use to help her work on her language disability that keeps tripping her up. I feel I lucked out by getting connected to parents for whom parenting isn’t a competition so much as a collaboration—between Mom, Dad, grandparents and other caregivers, teachers, therapists, other parents who can share their wisdom, and of course, our wonderful kids. We cheer each other on and help each other out. I’ve seen parents join support groups desperate for answers and for someone to say, “I’ve been there. You’re doing great!” only to pass forward that message to another newbie when they’ve found their “sea legs” as a parent of a child with a hidden disability. I could post here a bunch of links showing that autism is on the rise in many countries, that many experts debunk the idea that diagnostic changes alone are responsible for those rises. I could also post links to research articles and news pieces about breakthroughs in understanding and treating sensory issues and autism, which many of you know I post on the Facebook page for the book Raising a Sensory Smart Child whenever I come across them. I love to participate in conversations about how we can best help our kids shine in a world where “quirky” doesn’t always fit in so neatly, and how we can keep our spirits up when we’re feeling misunderstood, frustrated, or worn out. At the same time, I have to balance that with enjoying my own family, helping my son get the extra help he needs, running my business, and being good to myself. So I’ll let the skeptics check out the book’s Facebook page, use a search engine, and do their own work to convince themselves that we parents of kids with sensory issues, ADHD, and autism are not dealing with “mass hysteria” and aren’t being “duped by the pharmaceutical companies” into imagining our kids need help. And I’ll choose to feel sorry for those who don’t know what a joy it is to have a quirky kid and a slew of supporters cheering you on whenever you feel discouraged. Thank you to ALL of you who participate in this marvelous community of people who care about kids with hidden disabilities. I know you’re out there and I appreciate you! Sensory Processing Disorder is real and it affects our 7 senses. There is so much to learn about how to help our kids with sensory issues! As I look forward to my son entering his teens very soon, I’ve been thinking a lot about teenagers and sensory issues. Years ago, when I was first thinking about writing a practical guide for parents of kids with sensory processing disorder, I knew I wanted to cover teenagers and their sensory challenges. I knew of teens with SPD and I recognized that there was nothing out there in books or on the internet to help parents. I’m very proud to say that my coauthor, Lindsey Biel, OTR/L, and I were really at the forefront of talking about sensory issues in teens in our book. Teens with sensory processing disorder have special challenges because of the stage of development they’re in and the fact that until now, their sensory issues may have gone unaddressed. In the award-winning book Raising a Sensory Smart Child: The Definitive Handbook for Helping Your Child with Sensory Processing Issues, you’ll find an entire chapter devoted to teens as well as many practical tips for older kids. If you are unfamiliar with the special challenges of teens with sensory issues, here they are—followed by practical strategies for addressing those challenges. 1. Finding the right OT can be challenging. Few occupational therapists are trained or experienced in working with teenagers who have sensory processing disorder. Play-based SI therapy may seem silly and embarrassing to teens. 2. Poor self-esteem. Teenagers who have had sensory issues for years will have learned at least some accommodations to get around them and are less likely to experience the extreme behaviors and responses they did when they were younger. However, years of feeling different and not knowing why, and noticing that they have never been quite as mature and self-controlled as their peers, take their toll. Teens with sensory processing issues usually struggle with self-esteem. They need a lot of encouragement to admit they have sensory issues and need some help. 3. Need for independence. Teenagers need to have their independence respected, so being told, “You need to do X, Y, and Z to manage your sensory issues” usually doesn’t go over very well! 4. Desire to fit in. Even teenagers who don’t feel the need to have a lot of friends or be conformist want to have some friends they feel they fit in with. Sensory challenges can embarrass them and may make them feel isolated, and different in a negative way. 5. Changing hormones. Teenagers have ever-changing hormones that can exacerbate sensory issues by making them more sensitive to input than they were in the past. The normal changes of adolescence can also make them more moody and emotionally sensitive. 6. New expectations. People are less likely to see your teen as a young, immature person with a hidden disability and more likely to see him or her as a young adult whose behavior is willful. What’s a parent, teacher, or therapist to do? 1. Modify traditional SI therapy techniques to be more teen friendly. As a substitute for playing with a tray of shaving cream or finger-paints, encourage the teen to cook, garden, do art or arts and crafts, and engage in other activities that challenge his tactile issues. Work with a sensory-smart occupational therapist who is willing to alter her approach to helping your teenage son or daughter to reduce any embarrassment or defensiveness. 3. Offer accommodations and sensory diet ideas for him or her to choose from. Present accommodations and activities to teenagers and let them decide which they would like to use. Honor and respect their choices and encourage them to engage in problem solving with you. If they don’t want to be seen doing a brushing protocol for tactile issues, can they do it discreetly in the bathroom at school? If all the kids are wearing loose clothes and they prefer them tight, can the teen wear tight clothing, such as bicycle shorts, underneath looser clothes that seem more stylish? 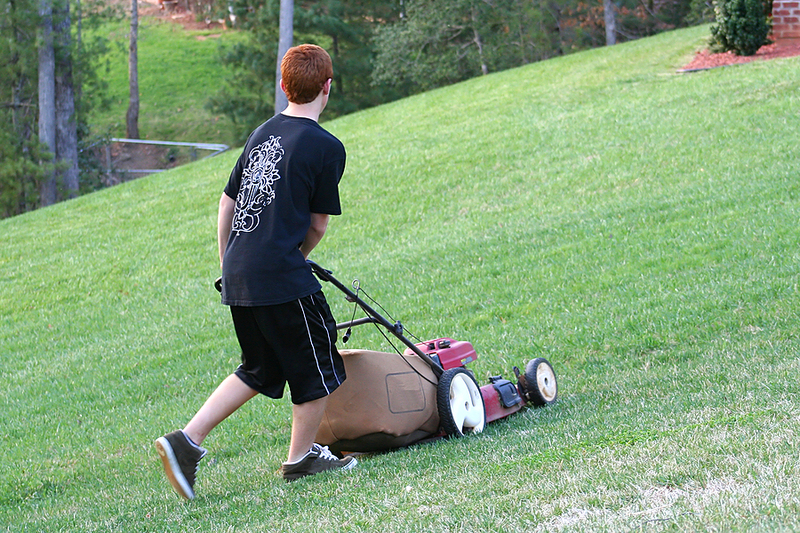 Teens with sensory issues need teen-friendly activities as part of their sensory diet. 4. Help him to feel okay as he is and find a group of peers he’s comfortable with. Practical solutions for grooming, picky eating, and dressing, and encouraging talks about the upside of being different, can help your teen with sensory issues feel more comfortable among his peers. However, he may also feel better about himself if he expands his group of friends. Encourage your teen to develop hobbies and engage in new activities from individualized sports that don’t require high levels of skill and competitiveness to enjoy them to groups that engage in the arts, community service, spiritual growth, etc. Extracurricular activities can help kids find their “tribe” and feel the power to make a difference in the world as well. 5. 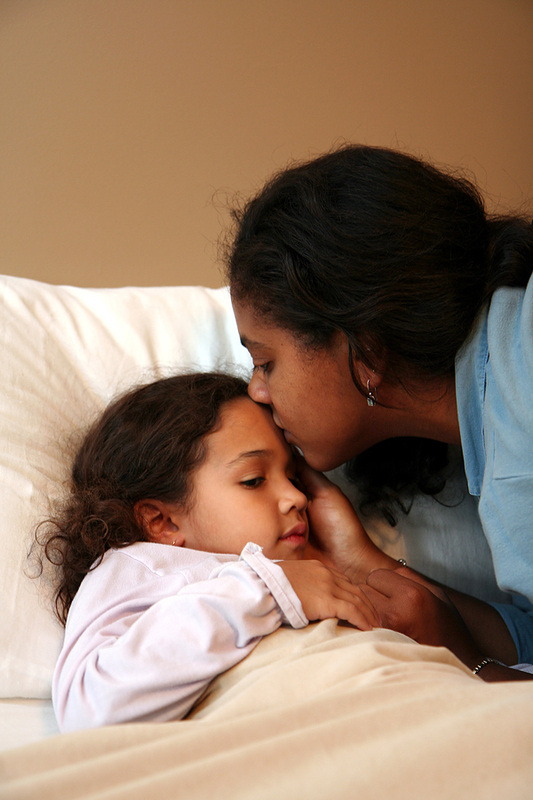 Accept that your child may be more emotionally sensitive at this stage. Be alert to signs of increased anxiety and depression and consult a medical health professional with any concerns you have. Remember, addressing sensory issues will reduce overall anxiety that can lead to mild or moderate depression (when you feel you can’t manage your discomfort, over time, you can develop depression). Don’t forget some of the most effective treatments for mild or moderate anxiety and depression include physical exercise, time spent outdoors, meditation, and breathing exercises. Mindfulness practices from yoga and tai chi to tai kwan do and karate can help, too. 6. Focus on self-awareness and accountability for self-regulating. It’s very difficult to get others to accept poor self-regulation in a teen, even if you educate them on hidden disabilities. Therefore, the sooner you collaborate with your teen in creating a workable sensory diet that prevents negative behaviors, the better. It will be easier for your teen to develop better self-regulation if she is trained in using specific self-calming and self-alerting techniques that she knows work for her. Hold her accountable for using her alerting music and gum, taking time out to sit in a quiet space and do breathing exercises or use a brushing protocol, etc. Have her participate in creating a sensory diet tailored to her needs to keep her sensory needs met and to prevent fight-or-flight behaviors. Let her experience the natural consequences if she refuses to use her calming, focusing, alerting techniques. Above all, never forget that kids with sensory issues need a “just right” challenge, a balance of accommodations to make them more comfortable and challenges that take them out of their comfort zone. Sensory diet activities for teenagers help them to develop a higher tolerance for situations and activities they’ll encounter in life, and over time, retrain their brains to process sensory information more typically. Be creative and encouraging in setting up a sensory diet for a teenager, and always be collaborative to respect the teen’s need for independence. Finally, if you’re a parent frustrated by trying to get your teenager’s sensory issues under control, consider joining an in-person or online support group, such as the ones on yahoogroups.com, or creating one. Knowing that you aren’t alone, and having practical and emotional support from other parents going through the same experiences with their teen, can help you enormously at this stage of your child’s development. Know the symptoms of depression in teens: See the information on the Mayo Clinic website. Information on Generalized Anxiety Disorder, which often begins in adolescence, can be found at WebMD. Find more quick information on teens and sensory issues at www.SensorySmartParent.com and in the award-winning book Raising a Sensory Smart Child.